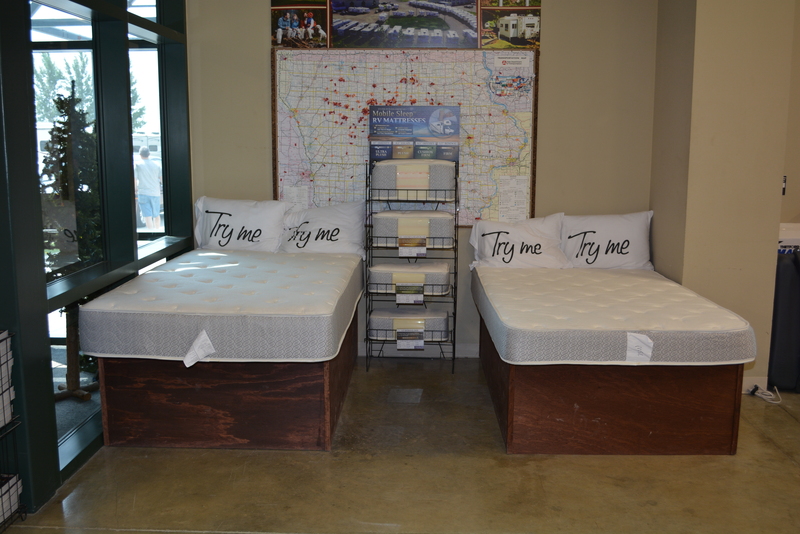 Here are some examples of how dealers have set up mattress displays in small and large parts departments all over the country. 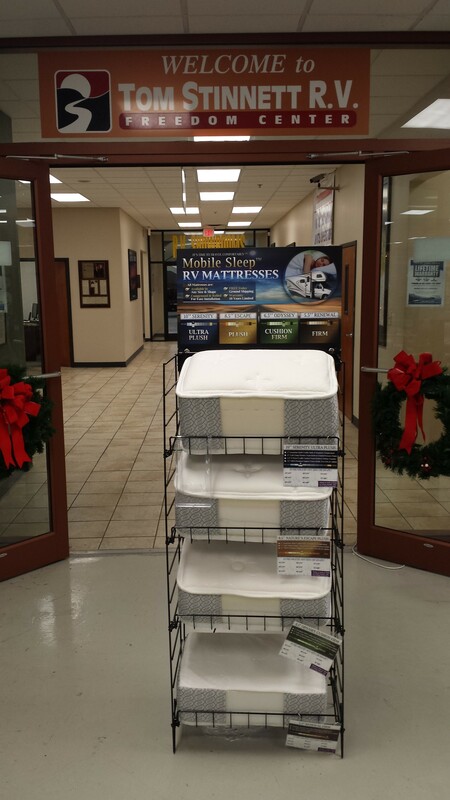 has two 30×80 mattresses plus the display rack in the center of the floor. 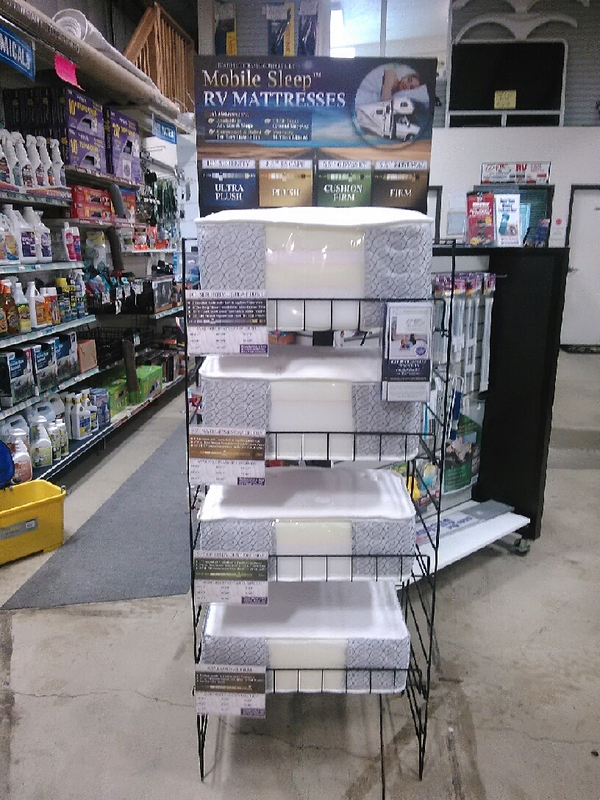 Stinnett RV has a display rack prominently displayed for their customers. 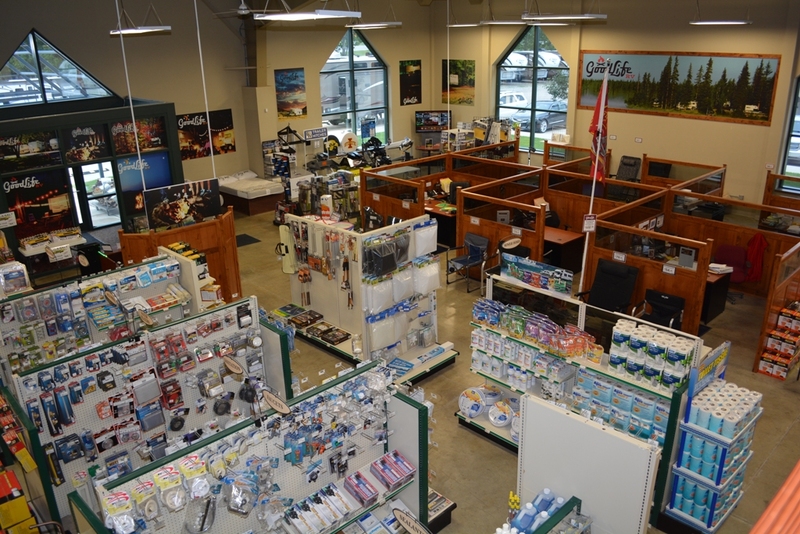 The display at UNeek RV brings attention and interest from customers looking for a better option. Want to be featured on this page? 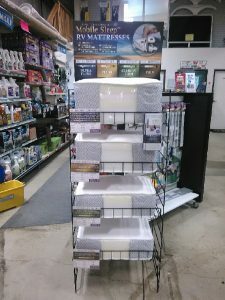 Take a picture of your display and contact us!